Superdry women’s Everest Ella bomber jacket. 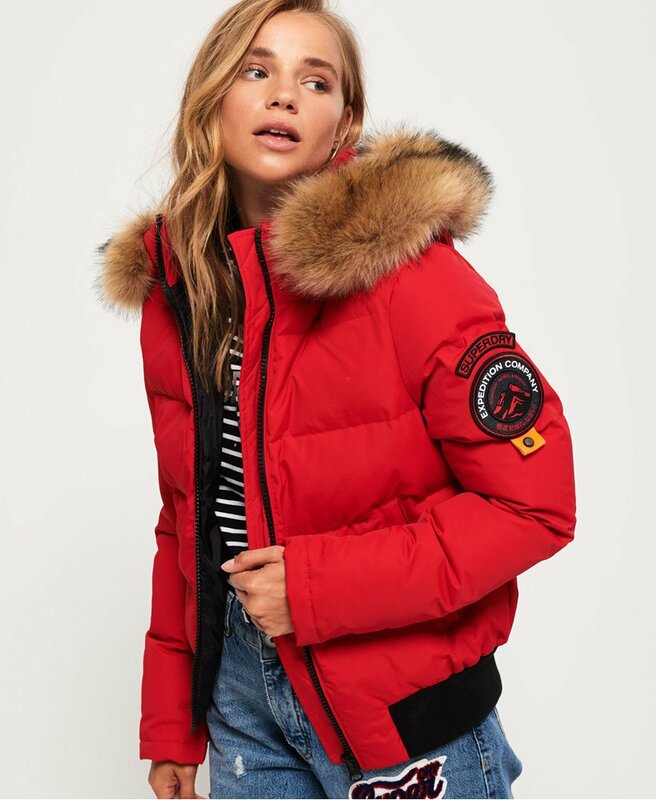 This stylish and comfortable bomber jacket features a detachable fleece lined hood, with detachable faux fur trim and an adjustable drawstring either side, making this perfect for cold weather. The Everest Ella bomber has been finished with ribbed cuffs and hem, two front pockets, an inside pocket and a Superdry logo badge on the sleeve.